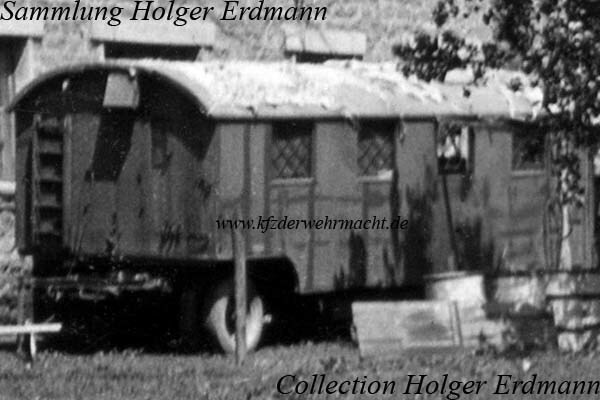 The schwere Vermessungsanhänger (2 achs.) (Sd. Ah. 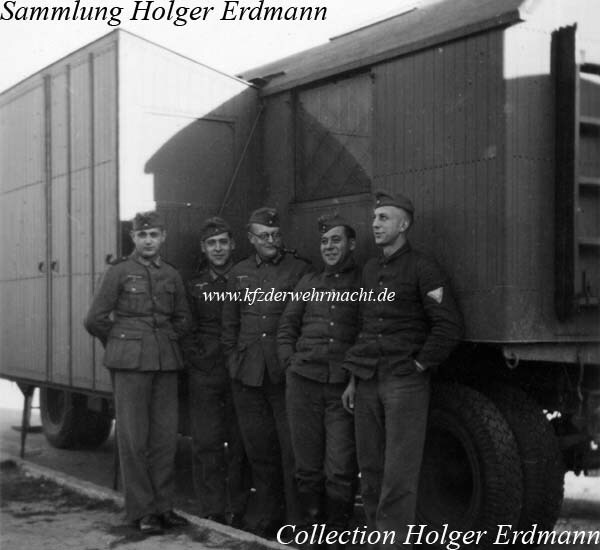 111) – a heavy two-axled survey trailer – and its five subvariants could be found in survey and map units of Armies and higher levels. The superstructure could be extended on the right side to create more room inside. During travels, the parts were stored on the right side of the superstructure. The left and rear side of the Sd. Ah. 111. 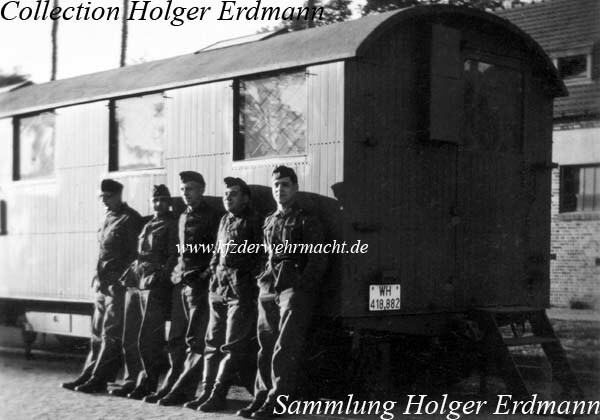 The three shown photos originate from the Armee Karten Stelle 517 – army map office 517 – which was attached to 17. Armee.